A major mythological entity in Norway, Sweden and Denmark, but relatively unknown outside of Scandinavia, the Nisse (Norway) or Tomte (Sweden) is a meter tall gnome-like creature associated heavily with the Yule and Christmas season in rural and farming regions. 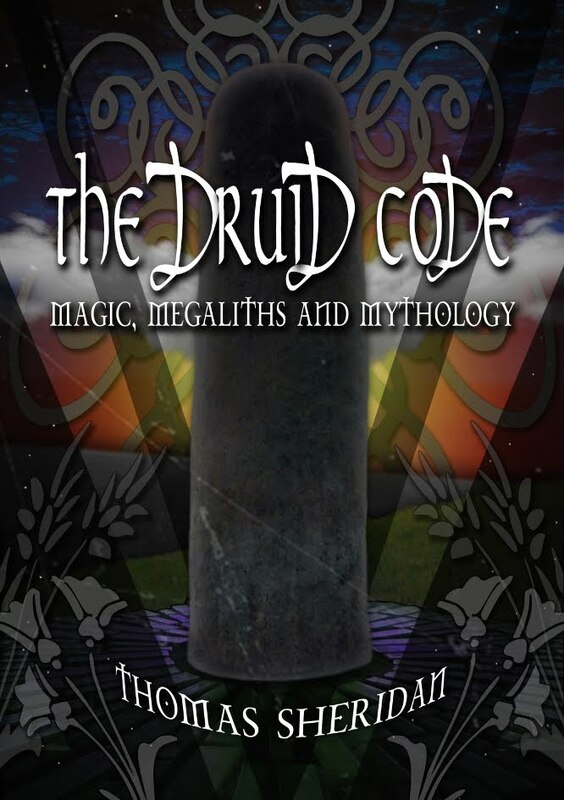 With an origin rooted far off in the heathen past of Scandinavia, he is connected to the first, initial clearing of the woods in ancient times to create farmland, and once lived in a mound similar to an Irish 'fairy fort'. Also known as the 'Mound Man', he is an ancestral entity and his presence follows families around when they move. Another belief is that the Nisse is the singular repository - in fairy form - of the entire ancestral spirits of the family or clan he is connected to. 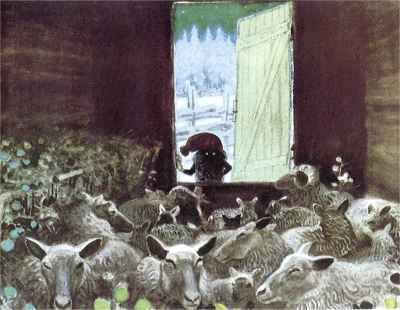 Acting as a guardian for the family by living in a part of the house or farm, he arrives on the Winter Solstice or Christmas Eve by knocking on the door of the house. If welcomed with a bowl of hot porridge, the Nisse will protect the family and the home/farm for the year. If ignored he will cause mischief and bring about bad luck. Similar to the Irish Leprechaun, or the Anglo Saxon entity known as the Hob (Goblin) in terms of payment of some kind for his good will. He is also known to have a foul temper when besmirched or refused his demands. Even going as far as killing Spring lambs. This also suggests a strong fertility archetype representing the initial 'soul' of the farm and the generations to follow. His image is almost identical to that of a traditional garden gnome, but with four fingers along with the usual elf-like pointed ears and his eyes also reflect light in the dark. The Nisse is incredibly strong. Far stronger and possessing of greater stamina than a human. He can shape-shift into a giant if required. They are also powerful wizards and can become invisible and move at a speeds faster than humans eyes can detect. Farm management is also an aspect of his nature and he will punish lazy farmers or ones who mistreat/neglect their livestock. He will punish the farmer by driving them insane or biting them with his venomous teeth. 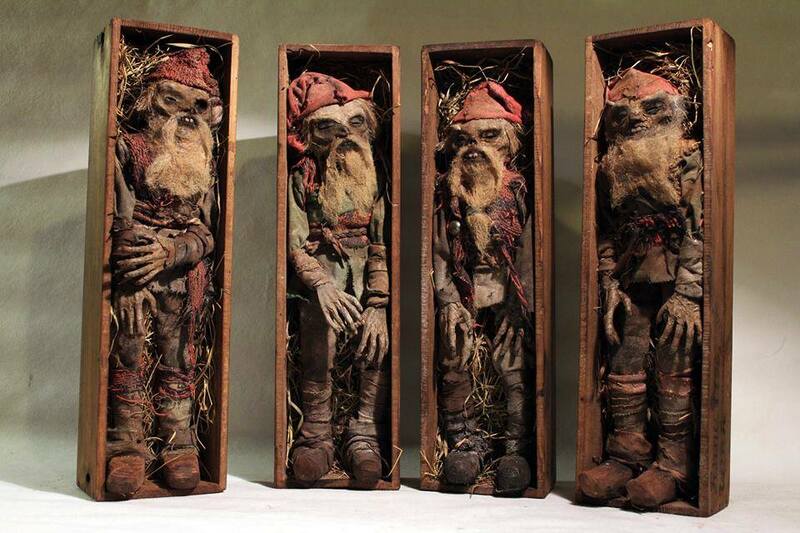 Troublesome Tomtes (Nisse) which were trapped by a Swedish witch in the late 1700's. Love this! Love the little mummies -- wish they were real!